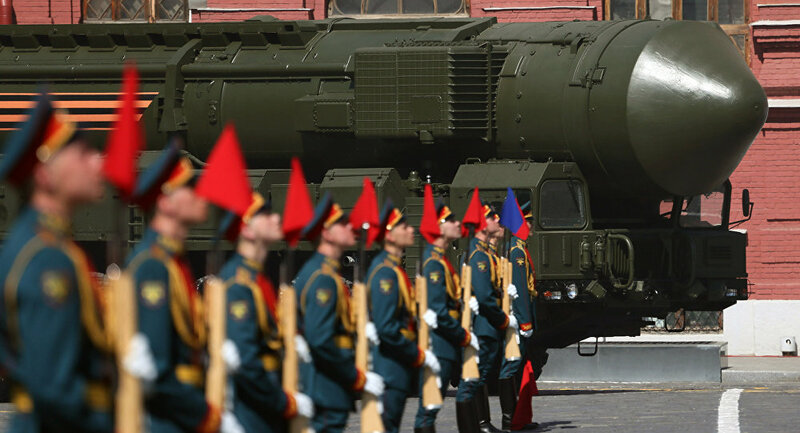 “Russia is coming to the recognition that these people are trained personnel who represent the most valuable asset of the armed forces,” reads an article of an expert in Russian arms, Igor Sutyagin. He noted that the new design of the showcased armored personnel carriers (APC) now allows infantrymen to dismount under protection of the vehicle’s hull, thus radically improving survivability of infantry on a battlefield — and that is the standard feature of all new Russian armored vehicles, instead of infantrymen dismounting via side hatches right in the line of the adversary’s fire. Armor protection of the new Russian vehicles has radically improved too, he says, providing much safer shelter for personnel on a battlefield, rather than the potential mass grave that they once were. “Tayfun” armored lorries further confirm the conclusion. “Tayfun” vehicles are designed to be a secure means of troop transportation, saving lives in case of terrorist and mine attacks on troops en route, and making the entrepreneurial armor-cladding of existing standard lorries unnecessary. Typhoon-K armored vehicle showcased during Victory Day parade in Moscow on May 9, 2016. 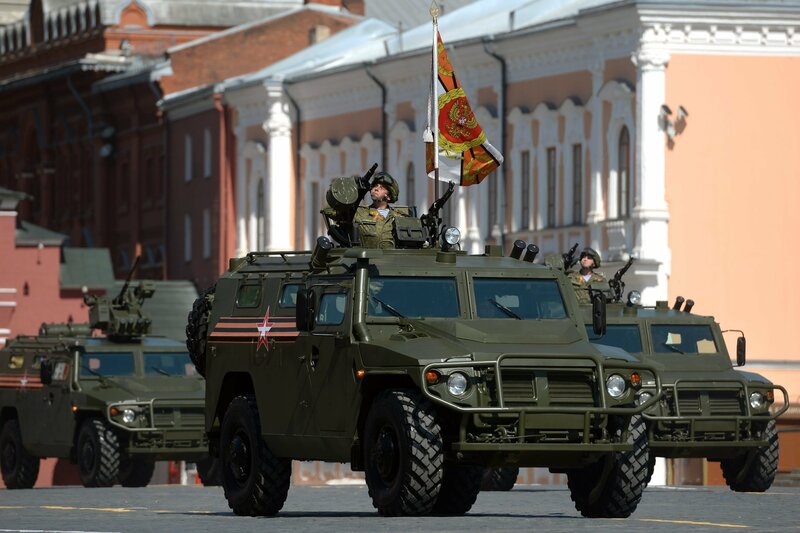 Multipurpose, all-terrain infantry mobility vehicle Tigr showcased during Victory Day parade in Moscow on May 9, 2016. Taken together, Sutyagin concluded, these new standard design features provide evidence that the survivability of personnel has become a priority for the Russian political-military planners. T-90A main battle tanks at the military parade to mark the 71st anniversary of Victory in the 1941-1945 Great Patriotic War, May 9, 2016. “The authorities, backed by state media, use the annual event to build patriotic sentiment and to underscore the importance of having a strong military to protect the country's borders,” it said. The paper also highlighted Russia’s advanced S-400 air defense missile system which is deployed in Syria to protect the Russian air base and its latest Yars mobile intercontinental nuclear missile launcher.